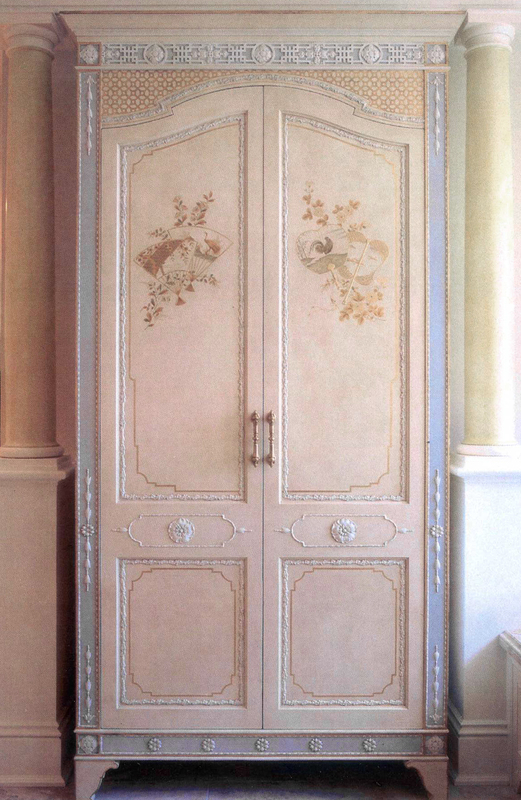 I was asked by an architect to submit ideas for the decoration of an armoire that was to be built for his client. After a discussion about colors, motifs, etc. I created the blue and white sample panel linked to this page. The armoire was then constructed, and I completed the finish work as shown.